„Now this is the story all about how my life got flipped, turned upside down. And I’d like to take a minute, just sit right there, I’ll tell you ..” how I became friends with the Fresh Prince of Nowhereland. If you followed my posts lately you might have read about my best friend Penny and because I’m absolutely fortunate I got another best friend: Will! The Fresh Prince. Will and Penny are friends as well. They know each other longer than they know me. They both went to school together with my brother. I got to know Will, because he was friends with my brother. They used to hang out quite often, but we never really talked. He was just that guy who used to come by. When I changed school I found myself on the bus with Will every morning. But we were a large group and so we knew each other, but still didn’t know each other at all. What I could tell about Will at that time was that he was different from anybody I knew. Being around him always meant fun. He could joke around in the most charming way. And then again he was simply fresh. 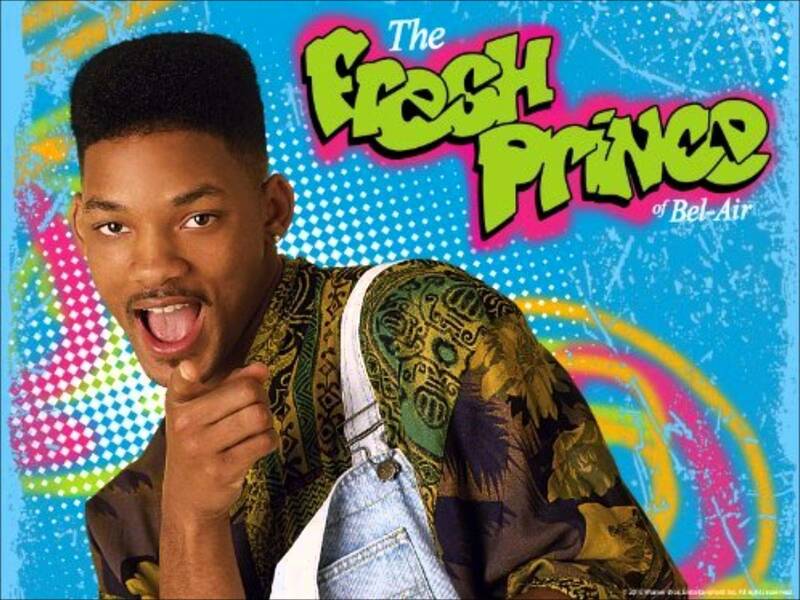 To be a fresh prince you obviously need to be fresh. Will Smith is the cheekiness in person. He’s witty and always has a funny line in store. Will simply says whatever he wants. But with all his cheekiness nobody every feels offended by him. In the end you know exactly that he’s only joking. He is a tease, but usually knows when to stop. Nobody is safe from him. And in return he can take the banter as well. But why is he a prince? It’s simple. Because of his charming nature. There’s something about him, something different, something special, something superior. The masses come together to make him their prince. And the masses came together. Will is the uncrowned prince of Nowhereland. He takes it with the natural gratitude of a royal. And his people don’t even realise they gave him a position of honor. There’s always talk and stories about him, but he couldn’t care less. Sometimes the stories are self-created. A result of one of his jokes. He can laugh about all the rumors, but in case one should bother him, well as a prince he can always count on a bunch of people fighting for him. Then again he is well capable of fighting his own wars and too willing to fight for his loved ones as well. He would always back up the weak and never fear anybody, or anything. Who wouldn’t want a best friend like that? Lucky me made best friends with the coolest guy on earth. Well at least in Nowhereland. At this point you must think that I stole my brothers friend. But that’s wrong. My brother and Will barely ever saw each other when we became close friends. And to be fair we simply made the better match. We are just as crazy as the other one. Our friendship started the moment Joey brought Will to our unicycle training. Exactly Will is the one friend I mentioned in Joey’s story. Our friendship is based on our love for unicycles. We now had something that united us. It brought us together every more often. And then before I even knew what was going on we were best friends. We saw each other every single day. Will was the first person I talked to in the morning. Or better said the first person, that was allowed to talk to me. We saw each other on every single day. We had the greatest of time together. If I think of my teenagedays there’s always Will and Joey on my mind. I spent more time with them then with anybody else. Not even Penny. It was always the three of us. Hanging out. Doing the crazy, funny stuff that we do. We had the greatest of times. I can’t express how grateful I am for his friendship. How dearly I love him. And how much he means to me. I couldn’t ask for a more honest, more caring and more loyal friend. I feel more myself when I’m with him and I hope he will always remain as my best friend to remind me of who I am. As soon as he reads this he will probably send me a message with some witty line. And I will laugh and for once tell him how much I love him. Posted on March 7, 2015, in My friends the fictional character and tagged Fresh Prince, friends, Will. Bookmark the permalink. Leave a comment.